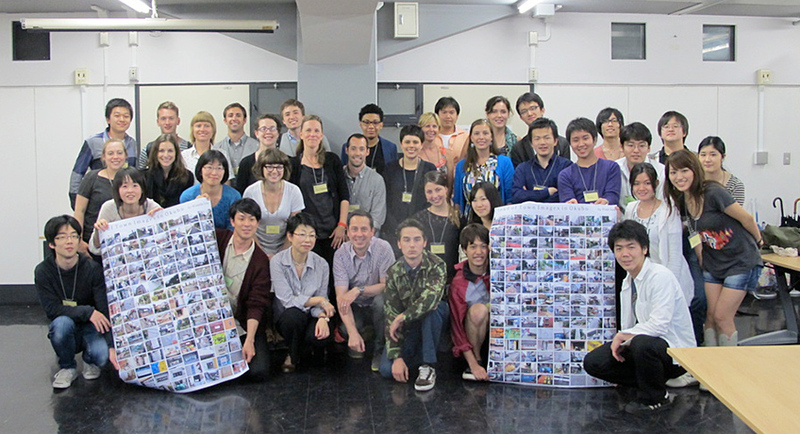 This program supported short-term US undergraduate study abroad in Japan. Instructors of a Japan-related course were invited to apply for funding to bring course students to Japan. This program was managed by CGP in 2011 and by Japan Foundation's Japanese Studies Program in 2012-2013. CGP can provide up to US$2,500 for the project director, to help defray individual expenses for the same items mentioned in #1 above. If it is deemed necessary to have an additional chaperone, CGP may provide up to US$2,500 for one (1) chaperone only to help defray individual expenses for the same items mentioned in #1 above. Other expenditures, such as meals, entrance tickets to historical sites or museums, bus or local train tickets, etc., cannot be covered by funding from this grant program. Any visit supported through this grant program must be organized as a group study-tour comprised of students taking the same undergraduate level Japan-related course . Each group must have at least five (5) student participants and the Japan stay must include a minimum of five (5) days of course-related activities. The faculty member teaching the course is required to serve as the "project director" and is responsible for all practical academic and logistical aspects of the application. Project directors will preferably have a PhD or terminal degree in their field; teach Japan-related courses; and must accompany their students on the trip. There is no nationality requirement for the project director. If the project director and organizing institution deem it necessary to have an additional individual or individuals attend the study-trip, only one (1) individual may act as a project director, any additional individuals will be considered a "chaperone". Costs incurred due to accident, theft, etc. are the responsibility of the project director and the organizing institution and not CGP. The applying institution, in conjunction with the project director, is responsible for selecting appropriate students to participate in the program. Students must have either U.S. citizenship or U.S. permanent residency status. A minimum of two (2) academic-oriented lectures related to the course content and suitable for undergraduate students. Student are required to submit an individual essay, minimum of 1000 words, based on their stay in Japan upon completion of the trip. The project director will be responsible for collecting the essays and including them as one component of the final report to CGP. Some of the essays may be posted on CGP's website. If the study-tour includes a stay in Tokyo, a visit to CGP Tokyo is appreciated. Please refer to the Japan Foundation Japanese Studies webpage for details on the application process.